Also, one of these days I'm going to own my own box factory. I'm sure I'll have the ladies literally clinging to my arms! RUN FOREST! I think someone is hiding under the box... I can see his legs! I think the box was kidnapped, call the cops! Ha - nice corrugated joke. 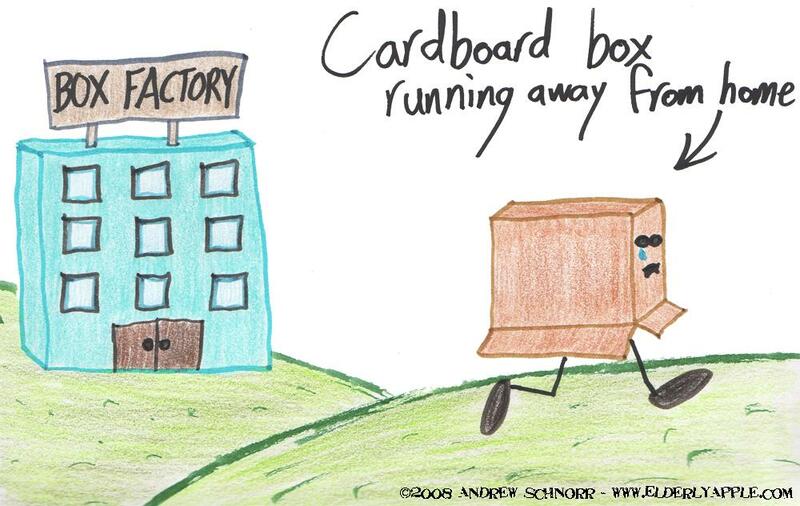 And as for the box factory...well, I guess some women would find owning a box factory somewhat attractive. I guess you can just show them your tattoo to seal the deal.